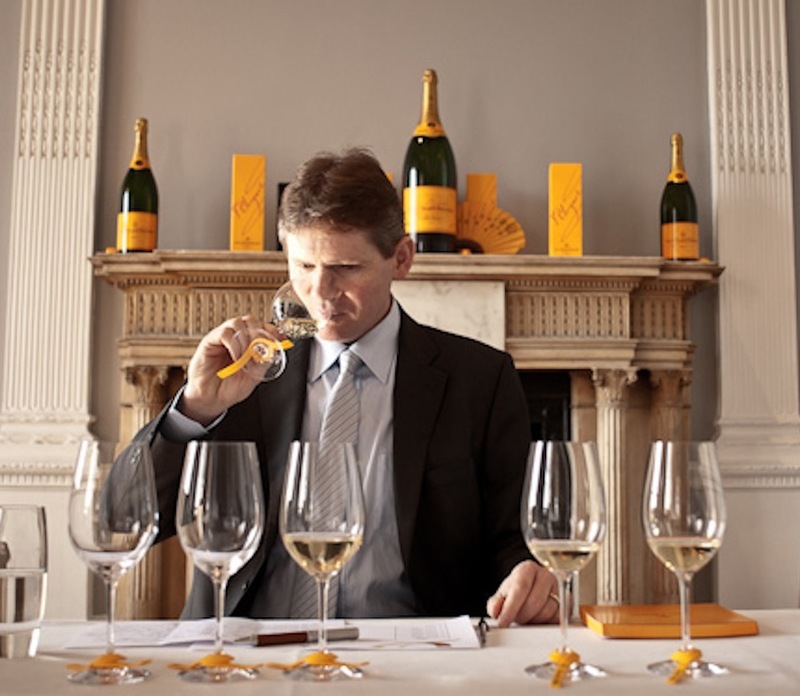 Recently I received an invitation from Veuve Clicquot Champagne to ‘a unique wine experience with Yellow Label N.V.’. I have to admit my reaction was mixed. At first glance this didn’t really excite me, but it was somewhat mysterious – I kept wondering how unique an experience can you get from non vintage Champagne? Being somewhat cynical I presumed they were indulging in some marketing hyperbole. Luckily curiosity got the better of me and I popped along – I am so glad I did as this was a unique and truly memorable tasting. 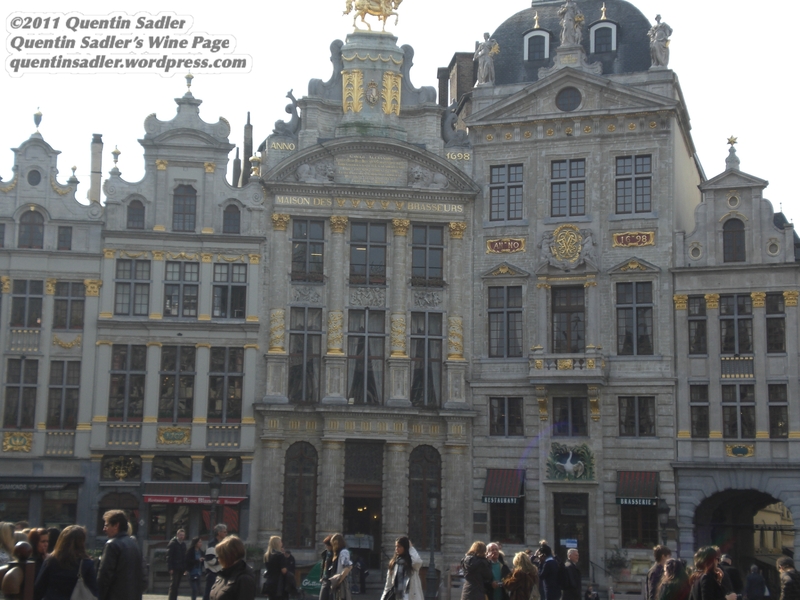 Which is remarkable when you consider that there were only six wines to taste and they were all Veuve Clicquot Yellow Label Brut Non Vintage – except they weren’t, not really. All six were served from magnum and had been disgorged on the same day in February 2010. In addition, in order to really allow the differences to show they had received a low dosage of 4 grams per litre – Yellow Label is normally 9 g/L or so. This lack of sugar could officially make these Champagnes Extra Brut. What made the tasting so wonderful was that they essentially deconstructed non vintage Champagne. We are always told that the non vintage concept is a way of averaging out the vintages. In order to make great wine in this ungenerous, northerly climate, they keep back wine from the ripe years to blend with the leaner ones. So, the theory goes it is the blend that matters, each marque producing a house style that is reproduced year in year out. Not on the showing of this tasting they don’t. Actually each release of a non vintage Champagne is based in large part on wines from a single year and they use the reserve wines in a relatively limited way. I tried six different examples of Veuve Clicquot Yellow Label Brut Non Vintage, the wine based on the 2007 vintage, not be released until 2012 and the current offering based on the 2006 vintage. This was followed by some older wines; the blend based on the 2004 vintage and the one based on the 2001 vintage, before moving onto a pair that were genuinely mature; the Yellow Label Brut Non Vintage based on the 1990 vintage and for a finale the oldest Non Vintage wine they possess, the cuvée based on the 1953 vintage. 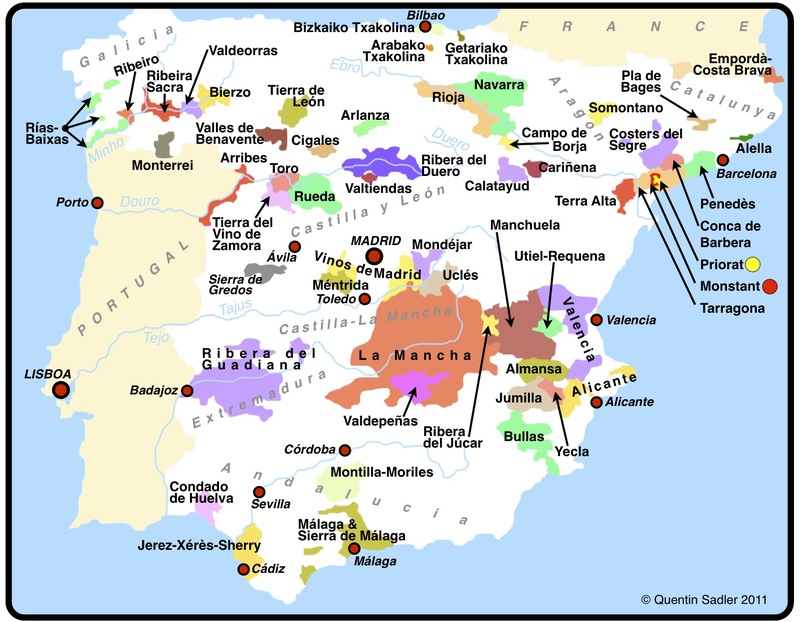 I am not always very keen on Grenache, but recently tried some fascinating and wonderful examples of old vine Garnacha – the original Spanish name for Grenache – from a part of Spain that I had never come across before, although I have written about wines from nearby – here, here and here. 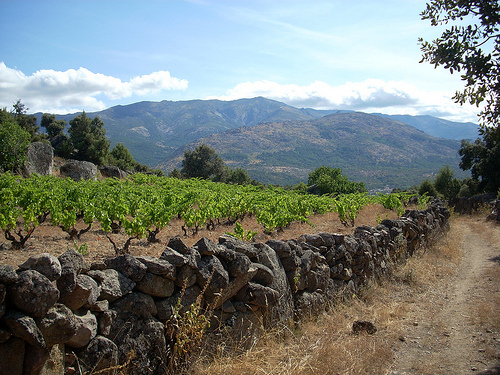 That place is the wild and rugged region of the Sierra de Gredos to the west of Madrid and like the landscape that the grapes are grown in, the wines are spectacular.